Alzheimer’s disease can involve much more than memory loss. Many of those living with Alzheimer’s can develop the symptoms of agitation – pacing, wandering, restlessness, mood swings and repetitive behaviors. Is your loved one prone to outbursts or verbally combative? Is the person with dementia in your life repeating himself/herself, asking the same question over and over again? Research is underway in New London evaluating an investigational medication for people living with Alzheimer’s agitation. Caregivers participate in the study as well. A caregiver may be the spouse of the person with Alzheimer’s, an adult child, or a trusted friend or companion. Often times these individuals are bearing a heavy burden in dealing with such unpredictable behavior. Over 5 million Americans are currently living with Alzheimer’s and this number is expected to rise. Research plays an invaluable role in trying to find a way to better deal with the difficult symptoms of Alzheimer’s disease. Someday, researchers hope to find a cure! 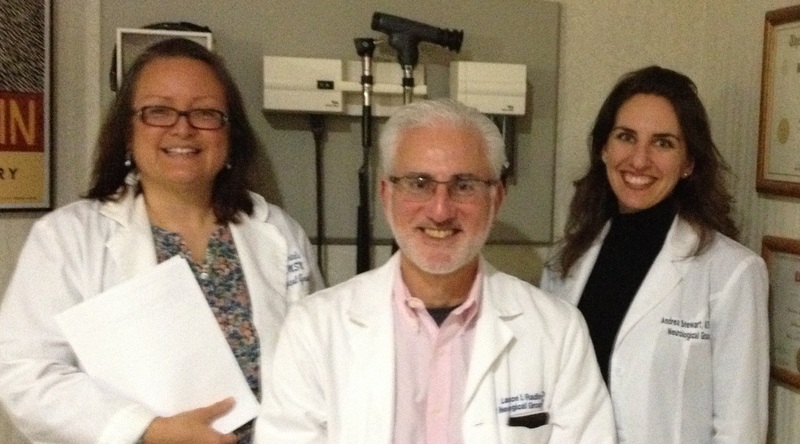 If you want to learn more about memory loss research, contact a member of the CCRstudies team at (860) 443-4567. September is World Alzheimer’s Month. It is quite likely you or someone you know has been personally touched by memory loss. Alzheimer’s is a progressive disorder which, in simple terms, kills brain cells and affects memory. The disease is classified in three stages: mild, moderate, and severe. Alzheimer’s is the sixth ranking cause of death nationally. Currently an estimated 5.1 million Americans have Alzheimer’s and it continues to grow with the aging population. Alzheimer’s is primarily a disease of the aging, typically striking those who are 65 and older. However, dementia, a more general diagnosis, which includes those with Alzheimer’s, is not attached to a certain age group. There are a reported half a million people younger than 65 who are affected by some form of dementia. Hollywood shed a light on this condition last year with the movie “Still Alice,” where Oscar winner Julianne Moore portrayed a middle aged woman living with early onset Alzheimer’s. While this movie was based on a fictional book, the scenario of memory loss at middle age is not uncommon. Younger onset Alzheimer’s comprises up to 5 percent of the over 5 million Americans living with this disease. Memory disease has widespread affects for the individual living with memory loss, and for his or her caregivers and loved ones. Alzheimer’s has been referred to as “the long goodbye.” This degenerative condition robs people of their thinking, reasoning, and cognitive abilities. It also robs friends and family of those living with the disease of the person they once knew and loved. In many instances, adult children find themselves in the role of “parent” with their own mom or dad. Spouses, as well, take on a new role, and find themselves transitioning from partner to caregiver. Research for Alzheimer’s disease is being conducted globally, and locally in New London. Most current treatments for Alzheimer’s address the symptoms of the disease and not the underlying cause. It has been over a decade since new medications for Alzheimer’s were introduced to the general public through the FDA. Clinical trials of investigational drugs are currently being tested on volunteers living with memory loss. Caregivers, as well as study volunteers, play an important role in the clinical trial process. To date, no drug has been found to cure or reverse the symptoms of Alzheimer’s. There is no “magic pill” designed to take away the confusion, agitation, distress and forgetfulness caused by memory disease. Current treatment can help to manage symptoms, but we are not yet at a place where this degenerative disease is being kept at bay. Investigational medications are targeting nerve receptors in the brain important for memory, thinking and reasoning. Realizing the importance of early detection in memory loss, CCRstudies in New London, in collaboration with the Alzheimer’s Foundation of America, has begun hosting no cost memory clinics in the region. Staff trained as Qualified Dementia Care Specialists are available to conduct free memory testing as a service to the community. To learn more about no cost memory testing for you or your community group or organization, call 860-443-4567, or e-mail marylou@ccrstudies.com. Memory testing is private, confidential, and results can be forwarded to your primary care doctor. Adults under the age of 90 who have been diagnosed with mild or moderate Alzheimer’s disease, or undiagnosed individuals experiencing noticeable memory loss may be eligible to participate in a clinical trial for Alzheimer’s disease currently being conducted at CCRStudies in New London, Connecticut. The study will include a free memory screening. This clinical trial research program, led by Dr. Laurence Radin of Neurological Group, PC in New London, is examining an investigational medication being developed to slow or halt the progression of Alzheimer’s disease. Fellow researchers include Andrea Bartels APRN, and Andrea Stewart APRN. According to Dr. Radin, “this research will ideally bring us closer to a cure for Alzheimer’s, and will help to give hope to the individuals and families affected by Alzheimer’s.” The trial is being sponsored by TauxRx Therapeutics. More than five million Americans are currently living with Alzheimer’s disease and there is no cure. Approximately 200,000 Americans under the age of 65 have younger onset Alzheimer’s. Alzheimer’s is a progressive, degenerative disorder that attacks the brains nerve cells, resulting in loss of memory, loss of thinking and language skills, and behavioral changes. “People suffering from memory loss and those around them will tell you how devastating this disease can be,” said Dr. Radin. CCRStudies is seeking volunteer participants for the current clinical trial. Those who become eligible for the trial will receive study related care and psychological testing at no cost. Reimbursement for time and travel may be available. No insurance is needed to participate in the clinical trial. For a preliminary phone evaluation, interested individuals can contact CCRStudies at 860-443-4567. Those looking for more information can also visit www.ccrstudies.com.